A full week of no flare up’s…. Despite the rollercoaster of feeling I have had this week. I have kept it in check. I attended swimming class Tuesday – Friday (today). I need to begin walking as soon as the snow melts. I have read that walking is a major benefit for Fibro patients. I will need to find an outstanding pair of sunglasses – the light sensitivity gets worse every day. I luckily have not had the sound, taste, or smell sensitivity kick in. I was at the “Fibro Swim” class – today – It is an amazing feeling. I went there with the start of a migrane and my right leg was not working. It was an immediate affect as I walked down the ramp into the 92 degree water. I felt the muscles in my body begin to loosen. The warm knowing smiles from everyone there (those I met last week and new faces) ~ was an added bonus. Those I had just met, introduced themselves, told me how long they had – had fibro – been actually diagnosed – symptoms that they had – and what meds and other things they were doing to help themselves. I asked this amazing woman what the tattoo on her foot represented. She said it was the symbol of “LIVE”. She had been fighting her entire life to remember to “LIVE” through all the struggles she was facing. She and other’s like her are my inspiration. 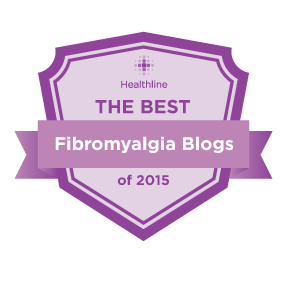 They have all had Fibro for many more years than I have. They have endured the Doctor’s and Family members who said that there was nothing wrong with them, they had been through every test possible, tried everything, and continue to try. Each of them fights with themselves every day of the week to get out of bed and to keep on living their lives. My strength comes from them and my Daughter.